In autonomous, Felix can start on any balancing stone, as he will preform the jewel task the same on all of them. Felix can identify the colour of the jewels, and knock off the one corresponding to the opposing alliance. Then, he will drive to the safe zone to earn extra points, and spit out the glyph in his intake, hopefully shooting it into the cryptobox. In tele-op, Felix can score 1-2 rows of glyphs, and will always end on the balancing stone. During driver practice, we have found it’s possible for our design to score a column, but due to the time we have, it is impractical. 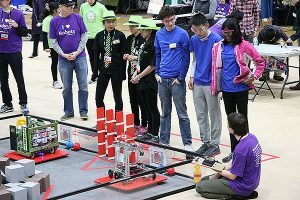 In so far as during a match, it’s far more beneficial for us to work in rows, and to help our alliance partner if they cannot score the bottom row, as that is our fastest. FIX IT competed at the Washington State Pasteur Interleague event on December 16. It was a great event with some matches having high scores over 400 points. It was fun watching all the different robots and we had fun meeting the other teams. Prior to this interleague event, we participated in the Knuth league events. We won the Motivate Award and we were the second place nominee for the Connect Award. We were also the second place Inspire Award nominee, so that means we qualified to go to the state championship in February. FIX IT competed at the Washington State Championship February 11, 2018. Washington State was an amazing event! It was a huge competition held in the Showare Center in Kent, with a ton of great people, amazing robots and energy across the entire event. We saw so many teams in so many bright colours together in this huge stadium. 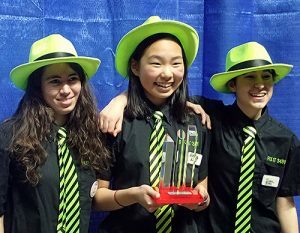 FIX IT was thrilled to win the Motivate Award and qualify for the FTC West Super Regional. Congratulations to all the teams who competed at the State Championships! FIX IT was excited to win the Connect Award. 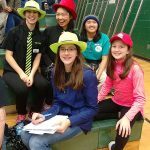 The FIRST Tech Challenge West Super Regional Tournament was held in Spokane Washington. 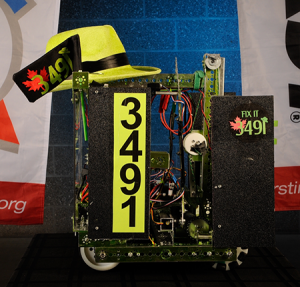 FIX IT competed with 71 other teams coming from Alaska to New Mexico. Our matches went well, finally, and there were no major connection issues. At our last few events, there were many issues that would pop up during competitions. The three days at Super Regionals were relatively good in that aspect.